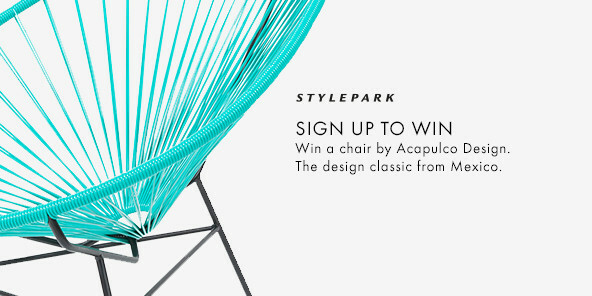 Living room, workplace or designer gallery? 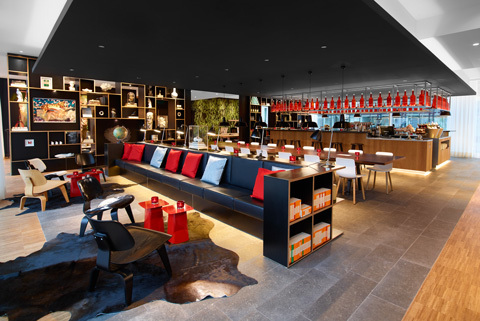 The interior designers at Amsterdam-based architects Concrete have demonstrated that a hotel lobby can be a place that persuades people to stay, work in a modern and inspirational setting, have a chat with others or simply sit back and relax. 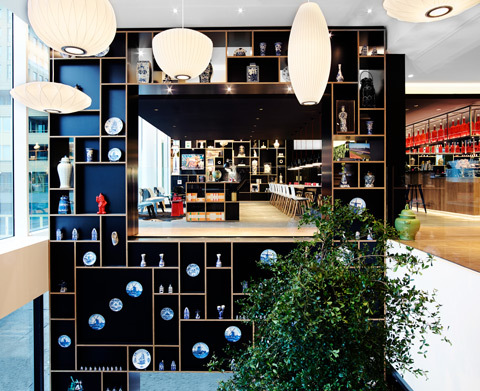 Located centrally, on Oude Haven, which is Rotterdam’s former port, the CitizenM flaunts interior style excellence – bright colors, designer furniture and a winding staircase by Eestairs, which is no doubt the greatest work of art in the lobby. 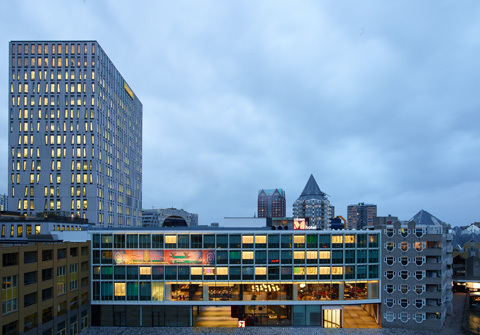 With its extensive public zones the hotel offers decidedly more than a comfortable place to spend the night. It is above all intended for people who travel extensively and thus need their hotel to be a home away from home. To meet these requirements, concrete opted for an eclectic, modern interior. 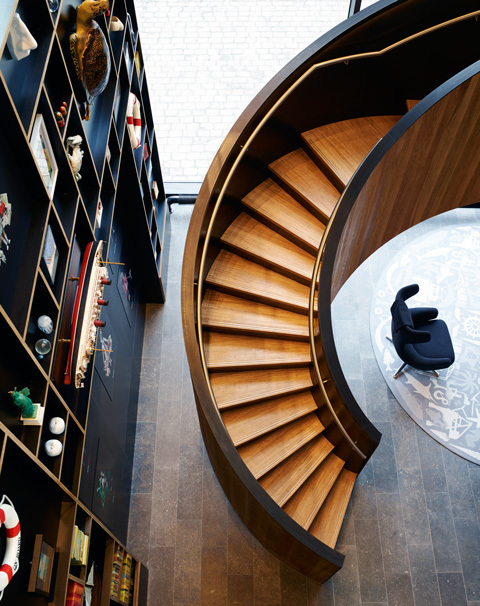 Guests are in for a surprise as soon as they step into the expansive double-height foyer – black walls, Vitra furniture and the sculptural winding staircase by Eestairs combine to create a flowing interior and well-conceived meeting spot. Guests get to sit at Verner Panton’s “Cone Tables” and recline in Antonio Citterio’s “Grand Repos” lounge chairs. From here they can marvel at the floor-to-ceiling shelf that conjures thoughts of an oversized bookcase and is used to present all kinds of collector’s items. 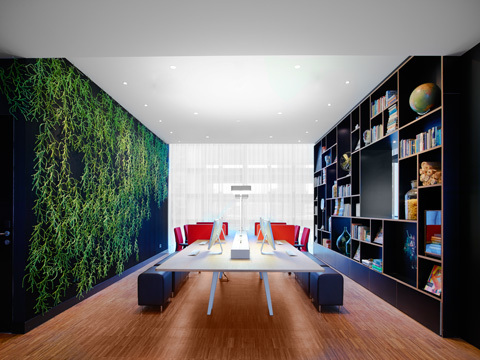 Those preferring to get some downtime can do so in the restaurant or in the adjacent lounge on the first floor. Here too the walls and ceilings have been painted black – with red items of furniture strategically dotted around the room to introduce bold splashes of color. 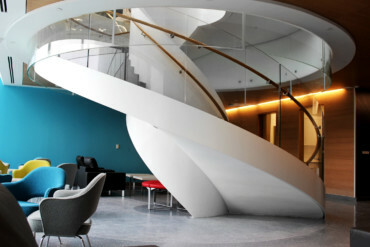 The two public zones are linked by a winding staircase from Eestairs, which first catches the eye in the lobby by adding a playful note and sculptural element to the space. 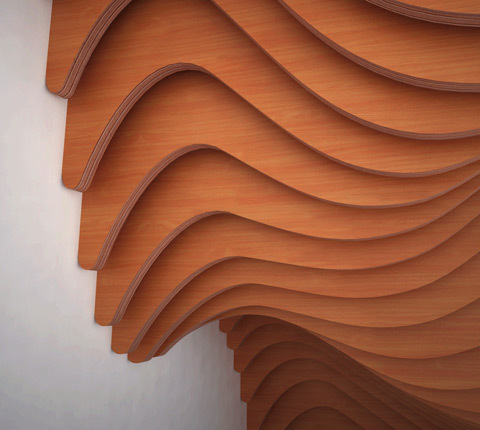 A compact structure clad with oak and bamboo wood on the outside, the helical staircase winds its way up like a spiral. 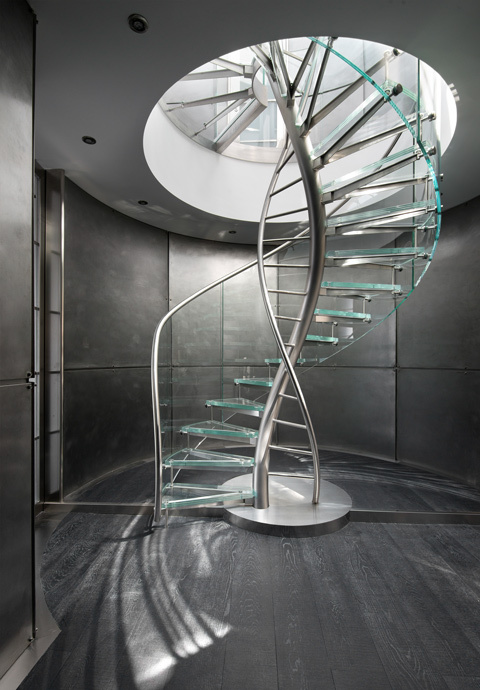 The black inside forms a sharp contrast to the natural materials used for the exterior of the staircase and comes with integrated lighting strips and a handrail made of brushed stainless steel. 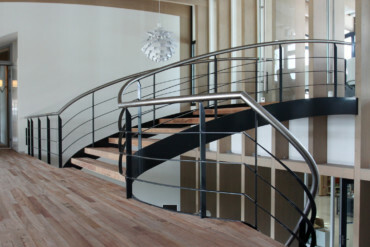 Thanks to its wide steps the staircase is very comfortable to walk and offers wonderful vistas of the foyer as you go up and down. 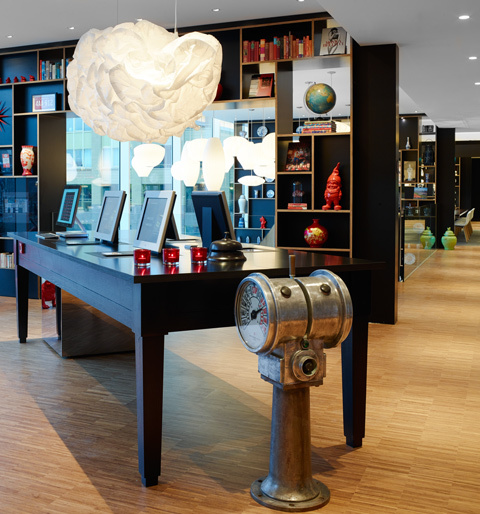 “Concrete has designed an outstanding object, and it was a real pleasure to work on the project with them. The natural surfaces of the wood give structure to the entrance and create an impression of depth – the staircase is the perfect addition to the hotel’s interior,” says Cornelis van Vlastuin, Creative Director and Founder of Eestairs. 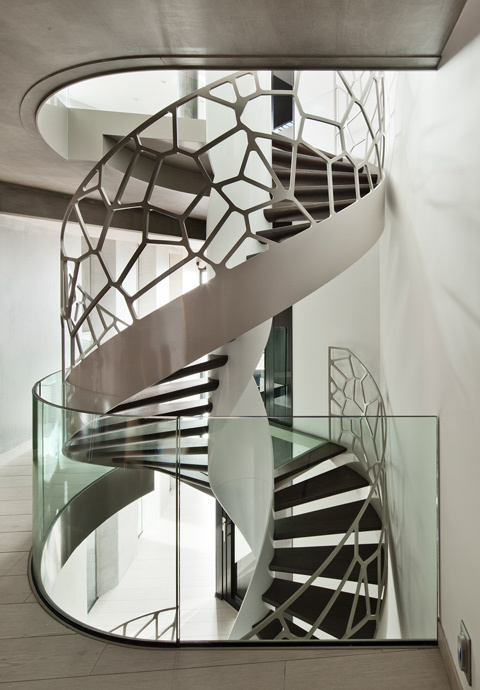 Located in the Dutch town of Barneveld, and with teams based in Belgium, France, the United Kingdom and North America, Eestairs is specialised in the creation of extraordinary staircases. 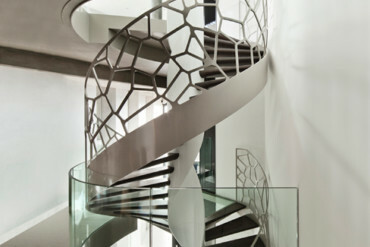 Working alongside architects and interior designers EeStairs design and manufacture exquisite staircase using in-house expertise. 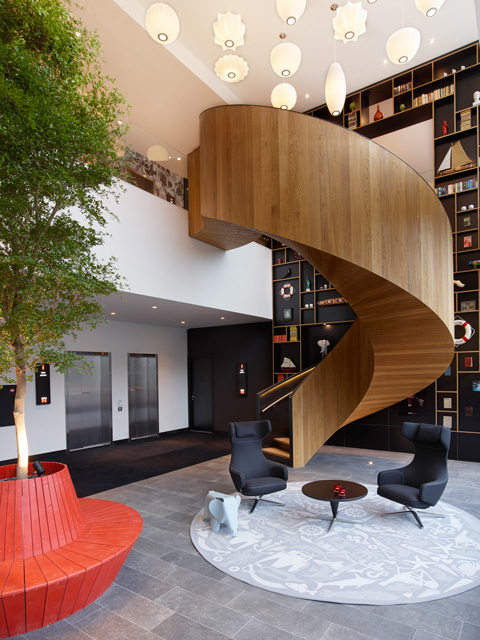 From public spaces, such as offices, hotels and stores, to stunning residential interiors, EeStairs is renowned for excellent craftsmanship - and the “Helical Staircase” in the CitizenM hotel is a compelling example of this.